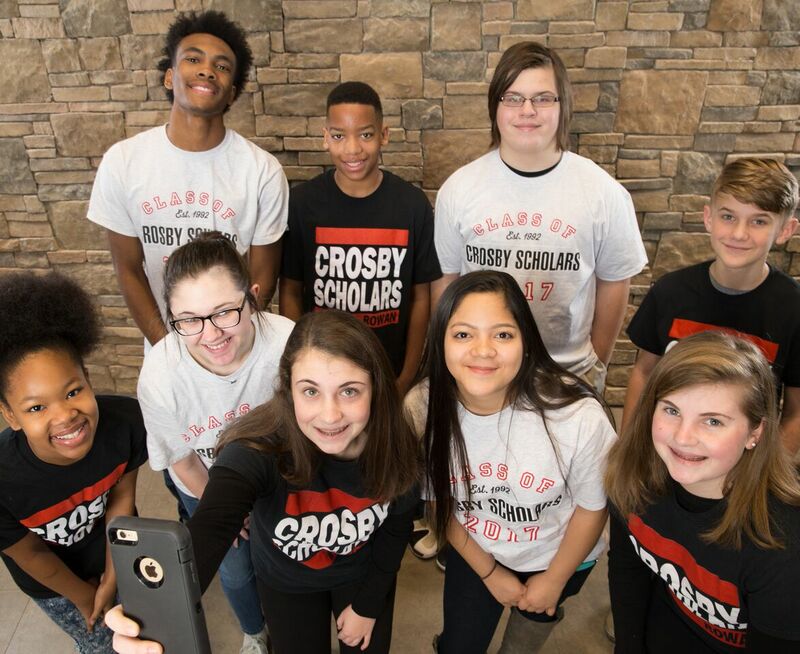 SALISBURY — More than 5,000 students have benefited from the Rowan County Crosby Scholars program since its founding in 2013. Nearly half of them enrolled at the beginning of the 2016-17 school year, officials said. But whether they’re new or one of the nonprofit group’s 360 graduates, students have found a haven and a future. Fisher and other Crosby Scholars supporters, as well as community partners, gathered Tuesday morning for a fundraising breakfast at City Tavern. The benefit celebrated the program’s success and sought to raise money to cover the Crosby Scholars board’s goal to provide $75,000 in Last Dollar Grants annually for four consecutive years — a total of $300,000. Last Dollar Grants cover unmet financial need for college-bound Crosby graduates. Qualifying students can receive as much as $1,000 a year for each school year. In the past two years alone, Executive Director Jennifer Canipe said, the program has awarded more than $147,000 in Last Dollar Grants. Traditionally, the money is raised through Crosby Scholars’ annual Barbecue, Bands and Boots fundraiser. But at the beginning of 2017, Canipe said, the program started a capital campaign for Last Dollar Grants. The goal is to make the grants sustainable for the long term. “So we know that we just have to call on our partners,” Canipe said. “Breakfast With Bing” was, in part, a way to close out the campaign. Of the roughly 360 graduates since 2016, about 98 percent have gone on to college — and 38 percent of those were first-time students. Steve Fisher, chairman and CEO of F&M Bank and emcee for the breakfast, said most of those students chose to attend Rowan-Cabarrus Community College as their first stop on the road to their future. “So a lot of what we’re doing stays right here at home,” he said. The sudden rise in enrollment numbers is, in part, due to a new “all in” initiative at two middle schools and two high schools — Erwin Middle, North Rowan Middle, East Rowan High and North Rowan High. It allows all eighth-graders and freshmen to enroll in the program. Crosby Scholars is a free program open to Rowan-Salisbury students in sixth through 10th grade. In Crosby Scholars, students learn to think critically about their future and make plans for life after high school. This year’s class of 156 seniors will graduate from every traditional Rowan-Salisbury Schools high school, as well as Rowan County Early College. Senior advisers trained by Crosby Scholars staff have been meeting with these seniors and assisting them with their plans for after high school. This year, the program is planning its annual Senior Gala to celebrate the college acceptances of its Class of 2018 on the afternoon of April 29.